Nikki’s Hurricane Adventure is a children’s book enlightening the senses through a cat’s journey back home to his family. The book sales are devoted to helping find a cure for cancer. As a children’s author and mother of three, I’ve been passionate about children’s literacy and education for many years. It wasn’t until my East Coast book tour that I became interested in education for children who are deaf or hard of hearing, after I had the wonderful experience of reading my title Danny the Dragon Meets Jimmy at a school for the hearing impaired. I was so inspired that I released a Danny the Dragon DVD and iPad app with a signed reading of my book. I’m proud to have contributed children’s materials to deaf children. Although I created the very first children’s book app with sign language interpretation, it is just one of many materials out there for deaf children. As if Tina Turbin, the multi-award-winning children’s author, wasn’t already overwhelmed with praise for the first book in her Danny the Dragon children’s series, Danny the Dragon Meets Jimmy, she decided to release it as the first-ever children’s book app for the iPad and iPhone to have sign language interpretation. The author and her publicity team are now working hard to manage the soaring sales and intense interest the iPad app release has stirred up. Despite her busy schedule, Turbin was able to set aside some time to meet with the Hartford Books Examiner for a Q&A interview to talk about the latest Danny the Dragon news. I knew when I decided to launch Danny the Dragon Meets Jimmy as the first iPad/iPhone children’s book app to offer sign language interpretation that I should expect some media interest. However, nothing could prepare me for the attention that the Danny the Dragon app has stirred up! In fact, I’m honored to find my app was mentioned by Alice Pope in the esteemed SCBWI (Society of Children’s Book Writers and Illustrators) Children’s Market Blog. The multi-award-winning children’s author Tina Turbin has been recognized again for the first book of her children’s book series, Danny the Dragon Meets Jimmy. 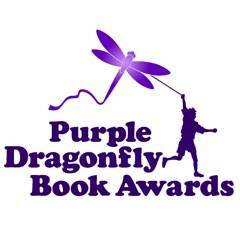 The illustrated children’s book, which is already the recipient of a number of awards, has been awarded in the Purple Dragon Book Awards. 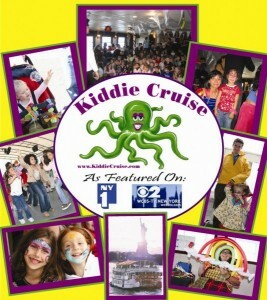 I am so excited to be a part of the Kiddie Cruise, themed as “Tea Party with Knights and Dragons” which launched out of New York’s Hudson River. Being the only dragon was a thrill! It is with great pleasure that I read the encouraging review of Danny the Dragon Meets Jimmy in School Library Journal. I am fortunate to have been recognized by many awards programs for this first book in the Danny the Dragon series, but what an honor it was to receive SLJ’s stamp of approval! Children’s literacy is one of the most important issues facing us today. Fortunately, many groups, organizations, and individuals are dedicated to reversing the staggering statistics. However, as hard as people are working to get kids reading, there are some kids—such as the visually- impaired ones—who get left out. 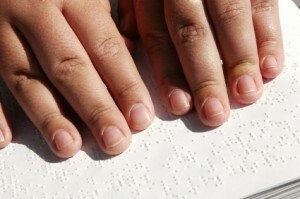 Thanks to Stevie Wonder, though, visually-impaired literacy is getting some of the attention it deserves. I’m honored to have been interviewed by Vicky of BFKbooks (http://bfkbooks.com), formally The Bookfiend’s Kingdom. BFKbooks features book reviews, exclusive interviews with authors, and the opportunity to buy books. Vicky asked me all about my Danny the Dragon children’s book series, my background, and my passion for raising awareness for celiac disease, an autoimmune reaction to gluten, a protein found in wheat, barley, and rye.